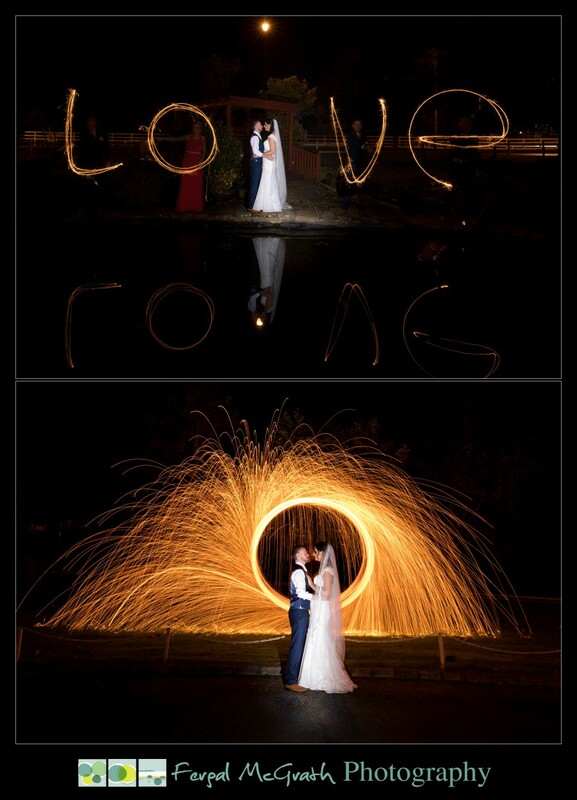 Mill Park Hotel Wedding Laura + John. 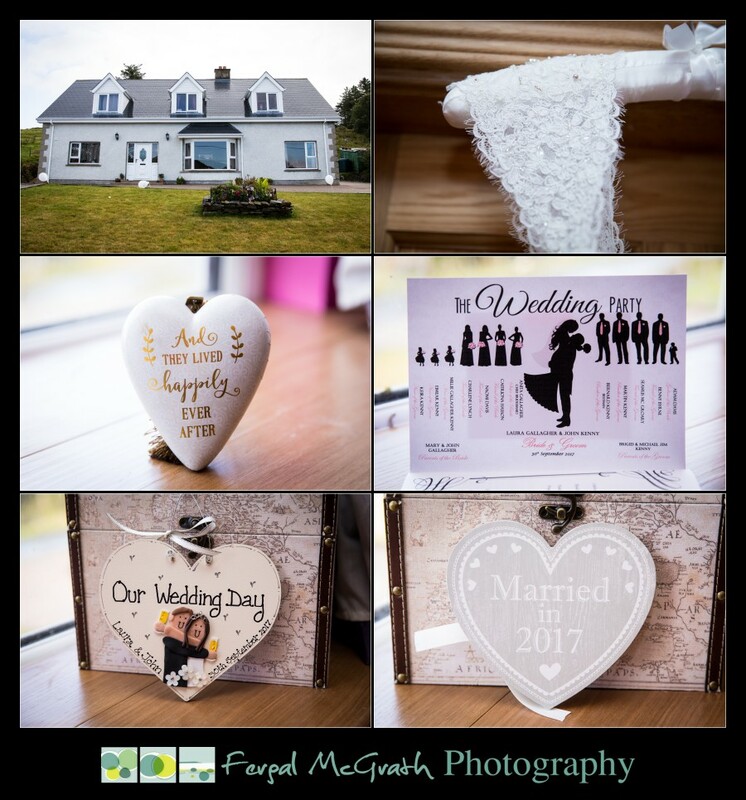 Congratulations to Laura and John who were married in Our Lady of Perpetual Succour Church in Glenfin in Co. Donegal on the 30th of September 2017 and had a fantastic wedding reception for their families and friends in the stunning Mill Park hotel in Donegal town. I started my day off with a trip to Laura’s home house which is only a short hop of four mile from the church in Glenfin. On arrival at the house we met up with Laura and her bridesmaids Anita, Caitriona, Naomi and Charlene. 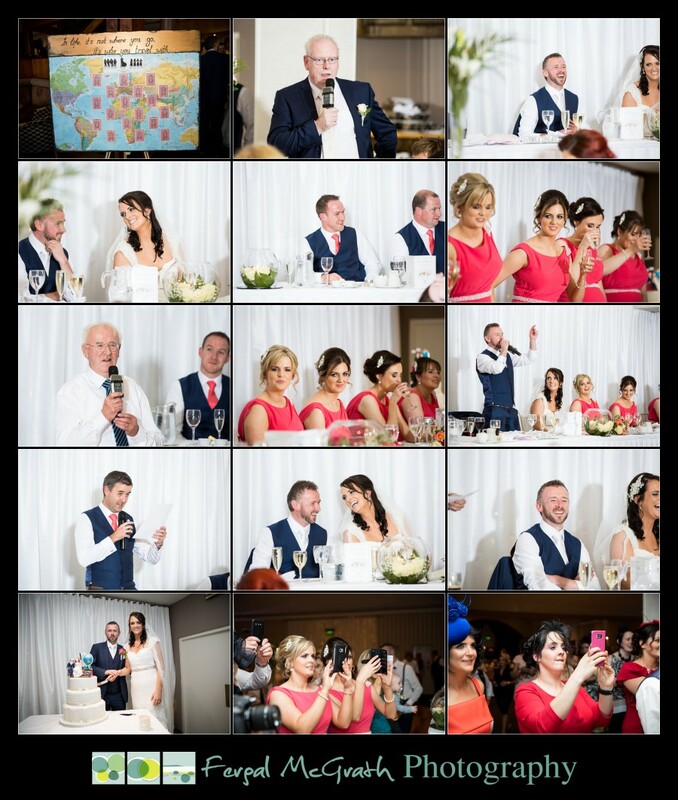 The girls all looked fantastic having had their makeup done by Shana Cassidy from Ballybofey and Laura had her hair done by Aine Mc Hugh while the bridesmaids were taken care of by Image Salon Brockagh. 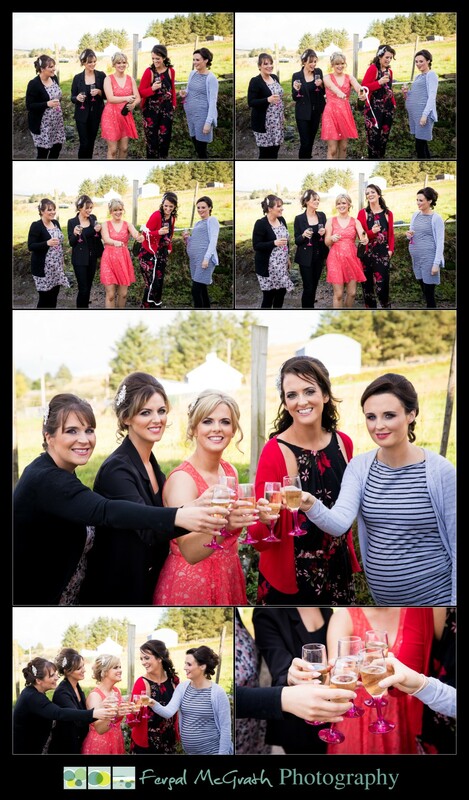 The girls were all relaxed and we had some fun popping open a bottle of champagne and then got some portraits in the front garden bathed in glorious sunshine. After I left the girls to relax I made the short trip to Our Lady of Perpetual Succour Church in Glenfin for the wedding ceremony. On arrival I met up with John and his groomsmen Bernard, Martin, Seamus and Benny who were all busy meeting and greeting the arriving guests. At the church I also met with James Carr from JC Media who was taking care of the cinematic wedding video for the day and you can check out James’ fantastic work here. As the Church filled up Fr. Eddie Gallagher and Fr. Lorcan Sharky got John and the boy’s seated in preparation for the arrival of Laura and her bridesmaids. The church was beautifully decorated by Laura herself and she also did the table decorations for the hotel- talented indeed. 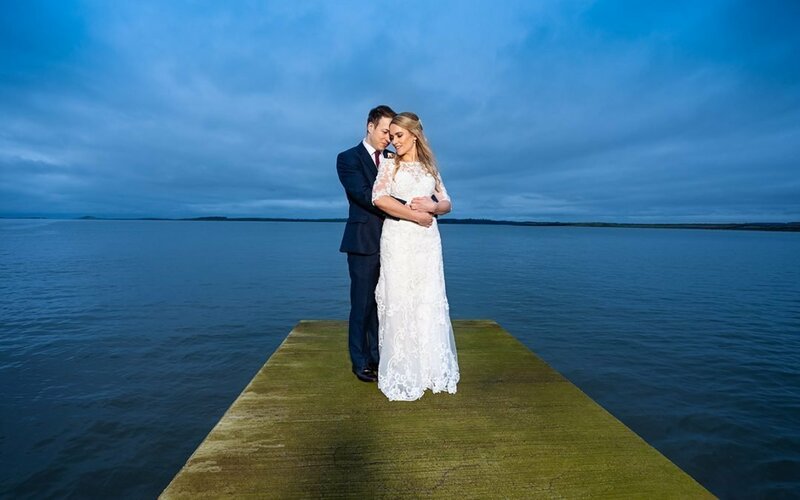 As Laura made her walk up the aisle accompanied by her dad she was carried along by beautiful music that was provided by Máirín Breslin, Anne Mc Groary, Stephen Quinn, David Burke and Shaun Gallagher. After the ceremony there was time for a quick group photo on the steps of the church and everyone waved to the drone buzzing overhead before Laura and John jumped into their lovely vintage car that was provided by Fairytale Wedding Cars Derry and made their way to our first photo stop that was at the old railway bridge in Barnesmore Gap. 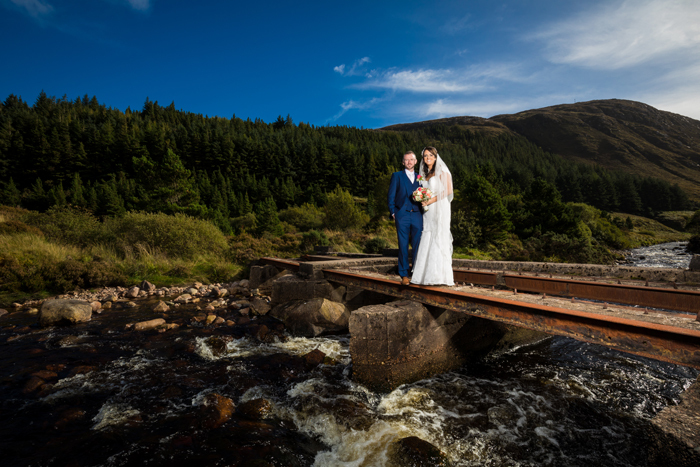 The sun was still shining for us and the gap looked fantastic with the heather and blue skies contrasting beautifully and Laura’s wedding bouquet which was supplied by Variety Basket in Ballybofey really stood out. After a few quick photos in the gap we made our way to our second and final stop at Murvagh beach. The great thing about Murvagh is you get two locations in one place- you have the beach and sand dunes on one side of the road and then the other side of the road provides a beautiful forest location to shoot in. 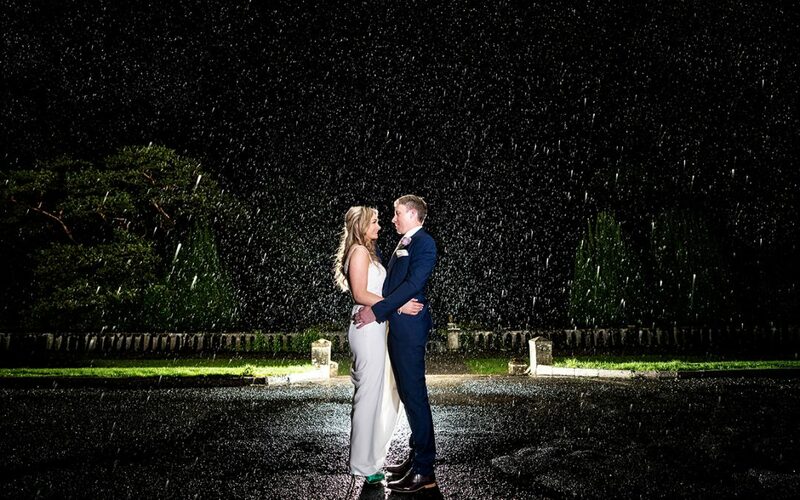 We worked quickly and got some beautiful wedding photos before jumping back into the cars and making our way to the Mill Park Hotel for the wedding reception. 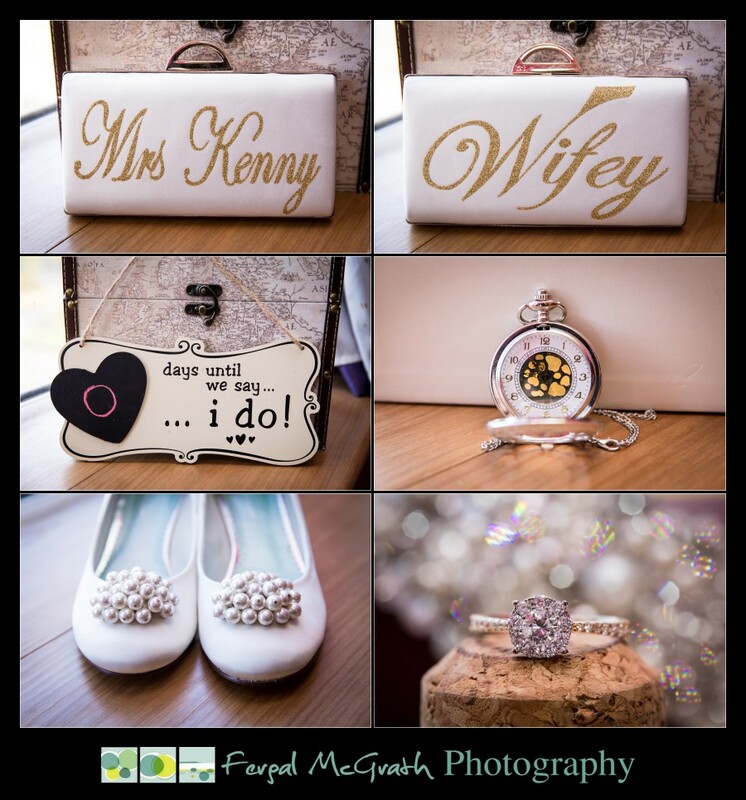 Mary and Jim and the team at the Mill Park had the hotel looking amazing as always and it is just such a great place for a wedding. After the meal and speeches the party got well and truly started when the Beefsteak Dancers took to the stage and they had the floor filled from the start. 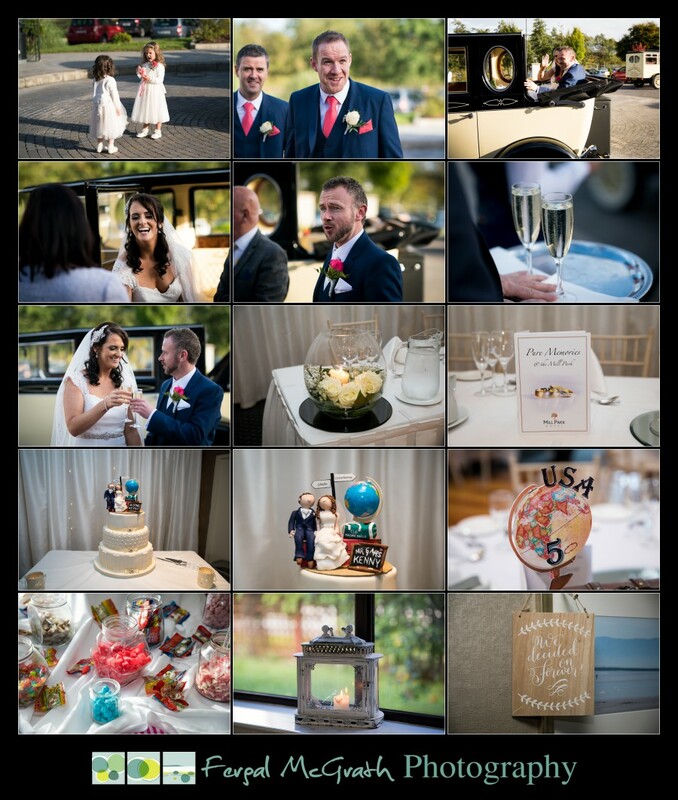 If you enjoyed this blog post on the Mill Park Hotel Wedding Laura + John and are planning your own wedding and would like to get in touch with Fergal Mc Grath Photography please use the contact me section of this website. 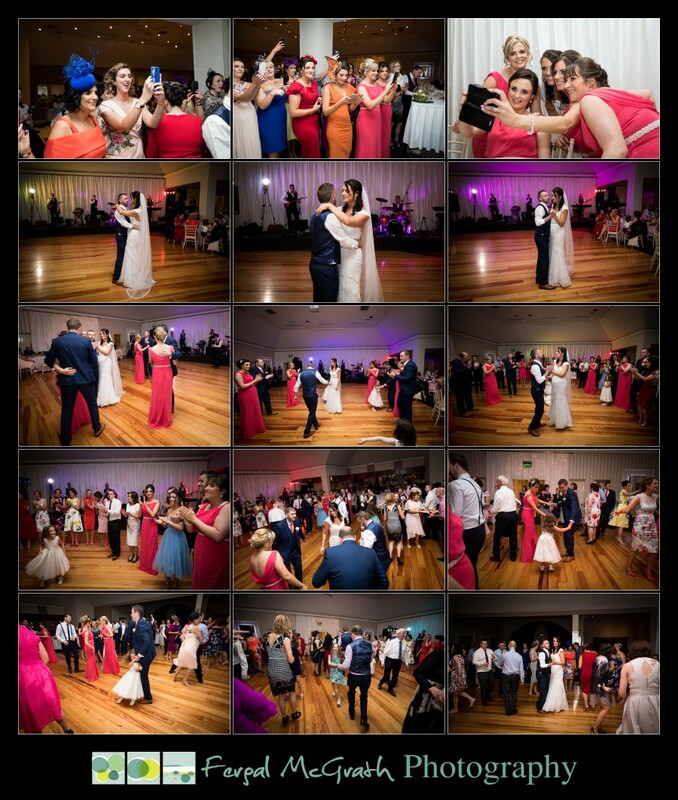 You can keep up to date with my wedding photography work by visiting and Liking my Facebook Photography Page here.